All told, if the 1.3 billion tons of food wasted worldwide each year is accurate, most estimates place the water “in” that amount to be 45 trillion gallons—or 24 percent of all water used for agriculture. And remember that 70% of the world’s freshwater is used for agriculture! Wasting fuel and oil both at the front (production) and the back (decomposition) end by not eating the food we purchase has a hidden but costly impact on the environment! Statistics have revealed (page 47 in link) that when looking at food waste at the production stage, about 99% of the waste occurs on land with extremely high levels of degradation—which puts undue stress on land that has already worked hard to produce food for us! Marine fisheries are a large culprit in the decimation of marine ecosystems and natural habitats, often resulting in “overexploited” areas or stocks (indeed, the ten most caught species of fish all have been labeled as “overexploited”). Fish are caught with little thought given to how the rapid depletion of population will impact their environments. These fish then get thrown out by the consumer, or rejected by stores for not meeting certain standards, or rot in the truck because of lack of modern refrigeration (in developing nations). 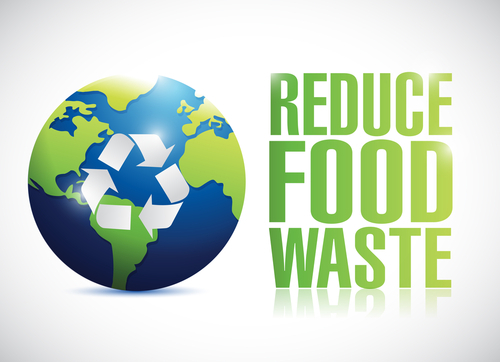 Preluarea de mai sus face parte din articolul „Five Ways Wasting Food Hurts the Environment (and Five Ways To Fix It)”, publicat pe Business Connect, la adresa aceasta, de John Hawthorne. Articolul indicat conține și cinci modalități prin care această problemă poate fi rezolvată.